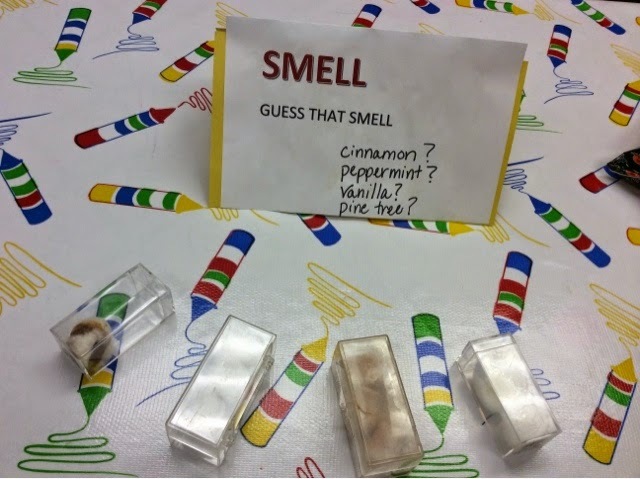 So, I must share our 5 senses storytime that one of my co-workers created! We both had the same theme in mind but she beat me to it. 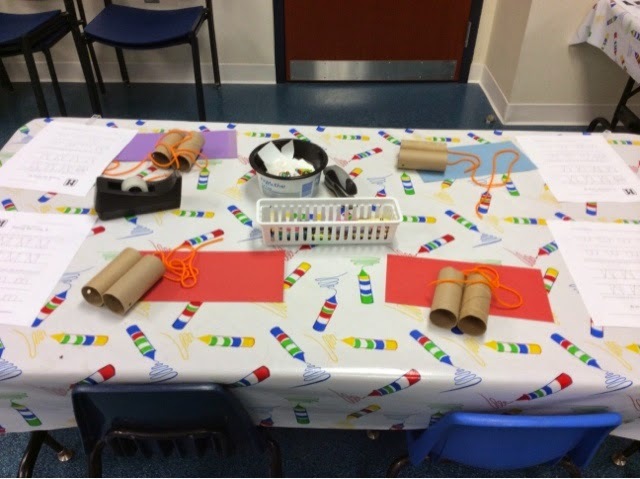 I'll explain how I adapted it to my Pre-K Explorers program. With every Pre-K Explorers program we start off with circle time. Here we say what month, day, and day of the week it is. What our letter of the day is. 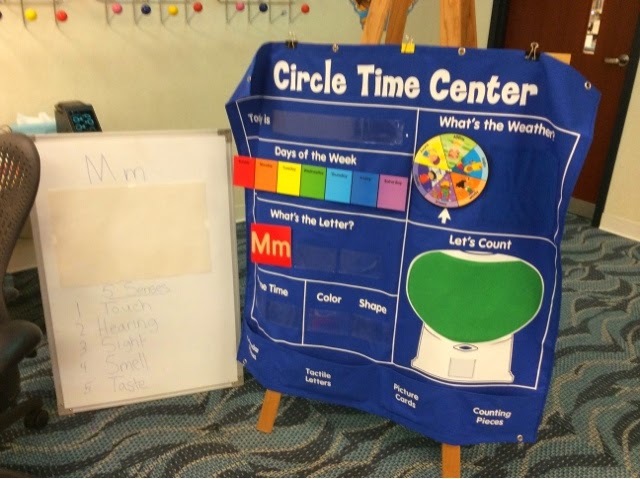 The weather on our weather wheel, and all of the kids put a dot on the green felt part of the board so we can count together how many kids are in the program that day. Today I also have a whiteboard with our letter of the day and the five senses written out on it. First I go through the five senses asking the kids what we do with our hands (feel, touch), our ears (listen, hear), eyes (look, see), our nose (smell, sniff), and our mouths (this one was tricky as a lot of them guessed talk, but they got it eventually. We read some stories, then did a great flannel board with Mr. Potatoe Head. I told the kids that they had to help me put Mr. Potatoe Head's face back together. There were rhyming clues that matched up with each of his body parts and the kids got them all! 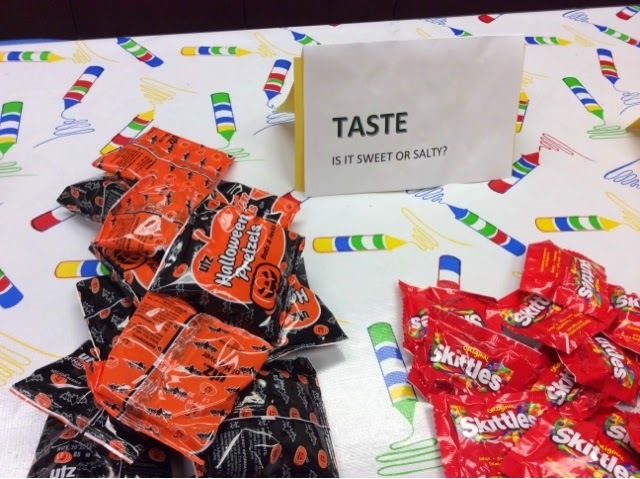 The best moment of the day was when we were talking about taste and I was asking the kids what kinds of foods were sweet and salty. They named some correct foods and then I challenged them to name something that was sour, one little girl piped up and said lemons! Our craft was super cute too! 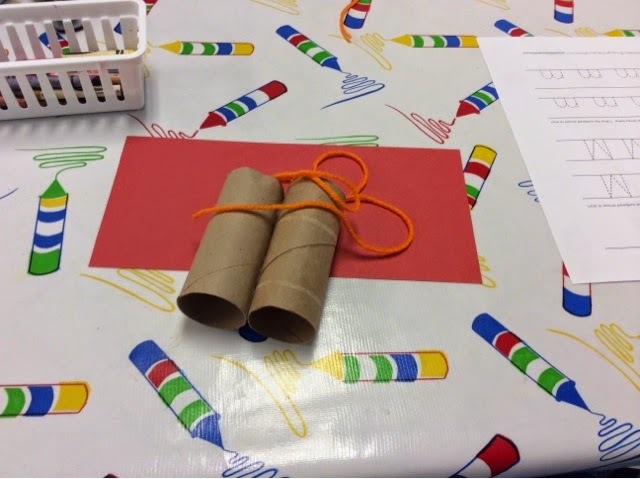 We made binoculars. I asked the kids what binoculars helped us do. See! They got it! The kids could color and out stickers on their binoculars. Here is our table and individual set-ups. We also had a station that kids could use their sense of smell, taste, and touch. They had to guess the smell on the cotton balls, and they were provided with a list. 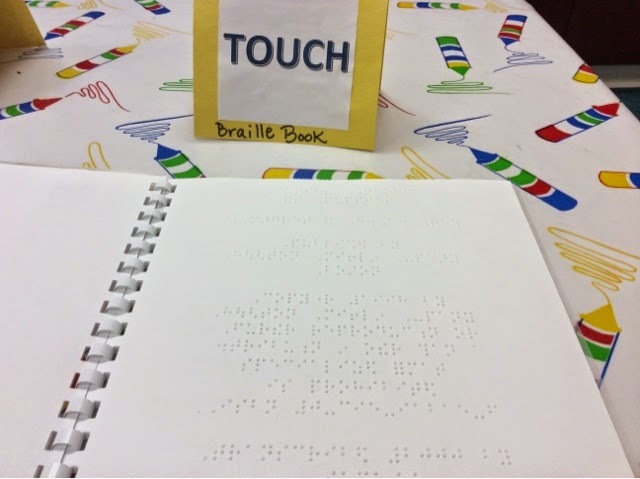 And lastly, they could feel our Braille picture book, the caregivers loved this and explained what it was to their kids fantastically.